Toast the pumpkin seeds in a non-stick frying pan without any oil. Add the sugar and toast for a further 1 min. Remove, spread over a sheet of baking paper, leave to cool. Combine the mustard, vinegar and oil in a bowl, season with salt. 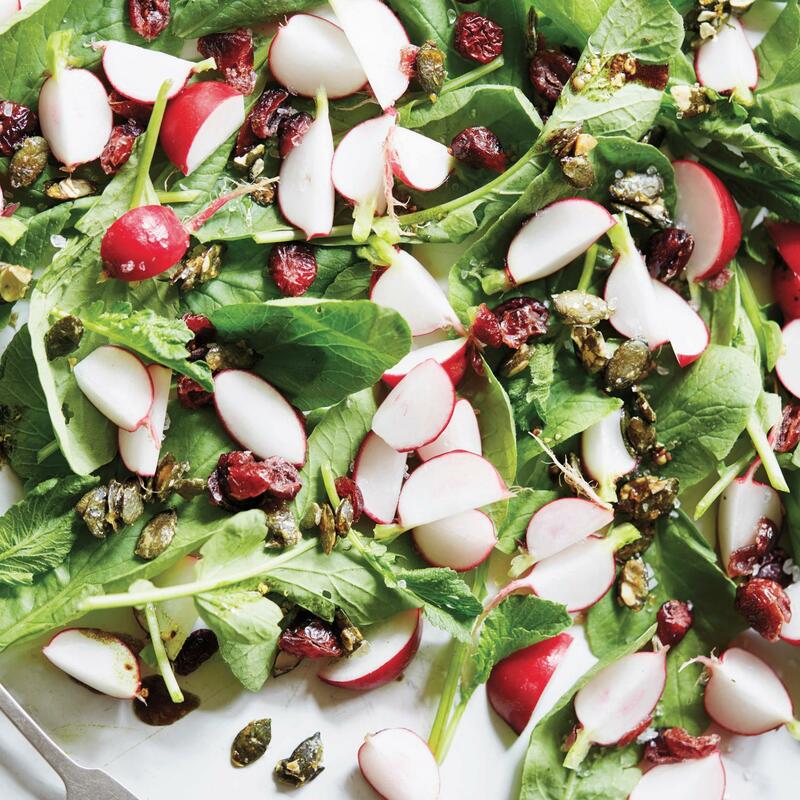 Add the radish, radish greens, cranberries and pumpkin seeds to the dressing, mix well.